Important Hindu event takes place in the town of Kataragama with two weeks of celebration the festival culminates in spectacular performance of devotees walking over burning coals. Devotees, dressed in their dhotis and ceremonial markings, turn up with huge earthenware vessels on their heads. 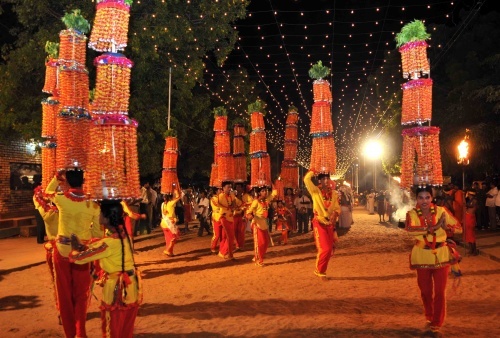 The festival highlight is the grand procession at night with the participation of colorfully dressed dancers, elephant and hundreds of devotees.